Killer Khan vs Iron Mike Sharpe. Akbar sticks his nose in the wrong place and pays for it at the hands of Mike Sharpe. Ted DiBiase and Hacksaw Jim Duggan in tag team action. 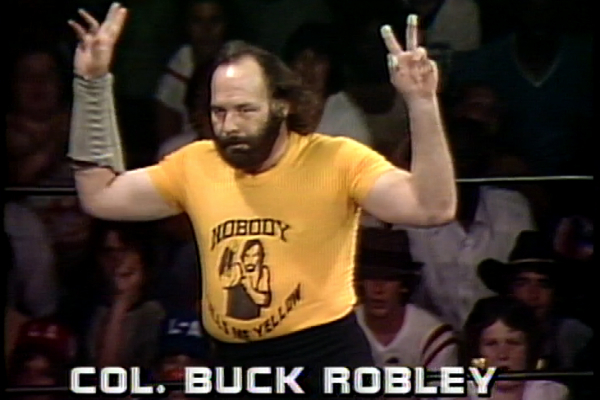 Recap of Buck Robley vs. Ted Dibiase from the July 24, 1982 “lost” episode. The Assassin vs. Buck Robley. 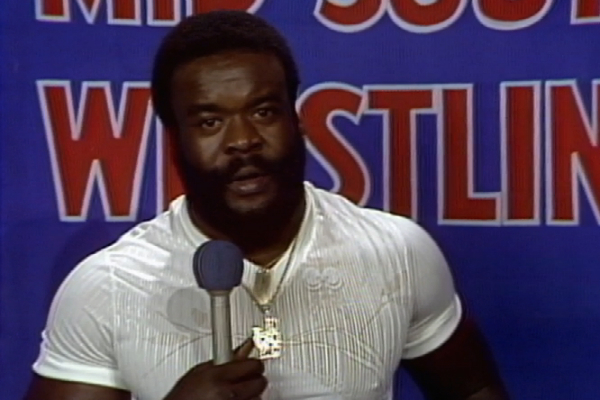 All of that and much more on this week’s Mid-South Television Review show! Paul Ellering does chin ups on a pipe, with kids, and with a kid holding on to him and……… well, you have to listen to see how bizarre this gets! Ted DiBiase vs Jess Barr in a better match than you might expect. The Grappler & Bill Ash vs. JYD and Mr. Olympia. Bob Roop discusses winning the North American title from Paul Orndorff a few months ago and what it means now. Ted DiBiase addresses why he is allowed to wear the white glove when Roop questions him on being allowed to wear it. 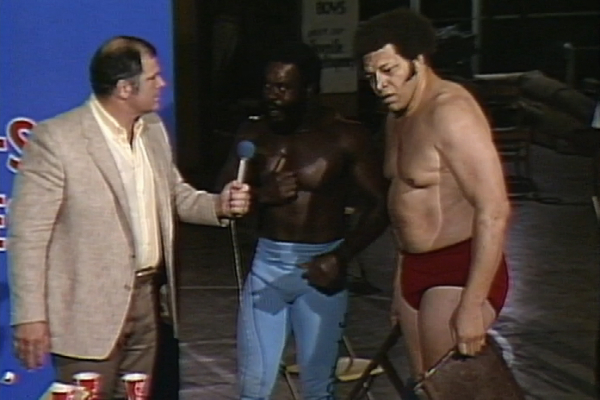 Do Ernie Ladd and Junkyard Dog join forces finally? 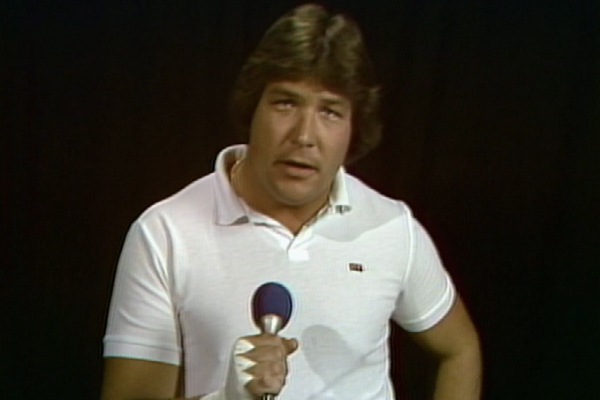 Does Bob Roop accept Dibiase’s challenge? Watts discusses the status of the Mid South North American title, the Mid South Tag Team titles, the Louisiana title, and the Mississippi title. Akbar bring in another man into his stable? 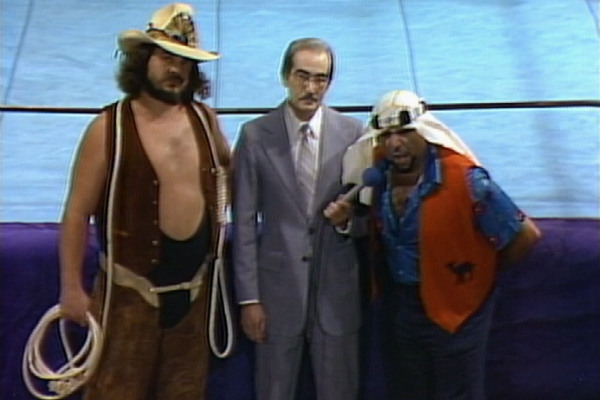 Ernie Ladd makes a statement and a challenge as it relates to Akbar. That and much more on this week’s episode of the Mid South Television Review show! Paul Ellering Has Pac-Man Fever and Reiser Bowden is VERY amused! Dr. Death is back for another early match in his career. 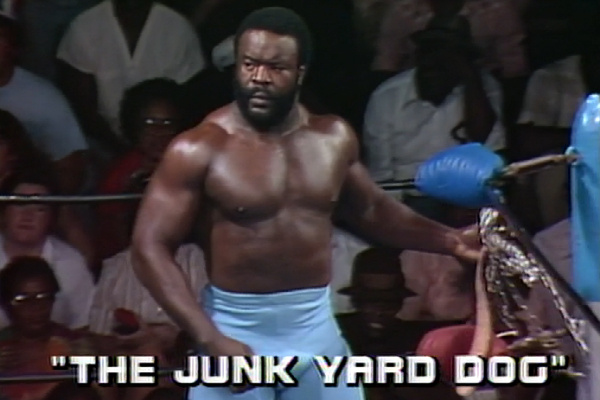 Junkyard Dog vs Bob Roop for the North American Heavyweight Title. The Grappler and The Assassin are back in action. And Bill Watts educates us on the Downtown Airpark in Oklahoma City, OK and their wonderful paint job and business practices on Watts’ plane! BUT what the heck does this have to do with Mid South Wrestling? Who knows?!?!?! 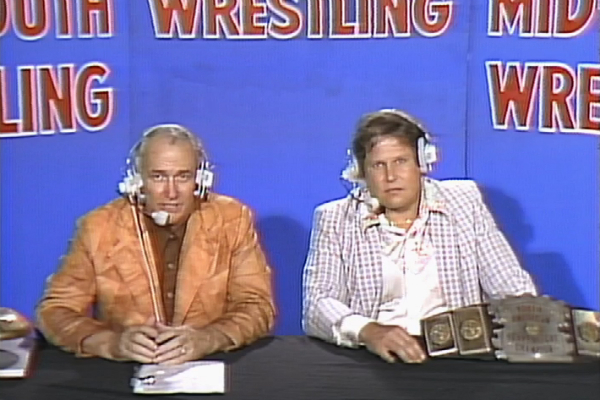 All of this and so much more on this week’s Mid South Television Review show! Dr. Death Steve Williams’ Debut! Paul Ellering’s Workout Continues to Entertain Reiser Bowden and the Kids! JYD & Mr. Olympia vs Randy Base & Jim Starr with a finish in the match that no one saw besides the referee Ricky Ferrara! 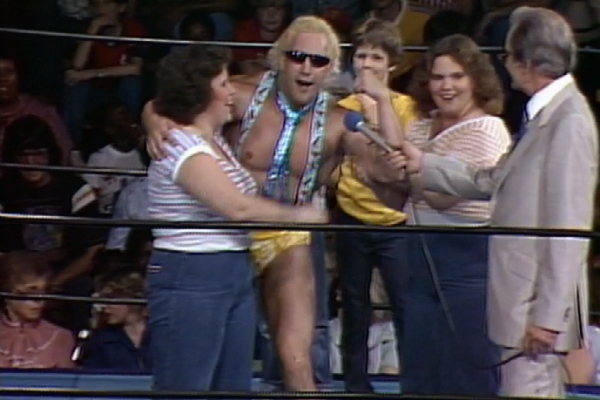 Paul Ellering’s Workout Gets More Insane with Kids and Plus Sized LOVELY LADIES!!!! 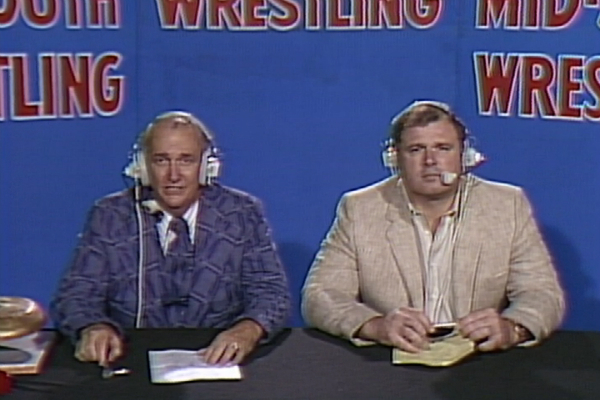 Bill Watts Gets Bored and Starts Discussing Joel Watts Flight Training?